Dr. Daniel Amen:	Welcome back. You're listening to Inspiration Week from Feel Better Fast and Make it Last, our series on my new book. We hope you get it. And if you do, if you download it or you buy it online or pre-order it, you can go to feelbetterfast.com, we have some amazing gifts for you, including Tana's brand new cookbook, "The 10 Day Brain Boost," as well as some bonus audios, the first chapter, the introduction. We would just be so grateful. In this series we have talked about, whenever you write a review of the podcast, you inspire us. You actually drip dopamine into our brains. So what do you have for dripping dopamine? Tana Amen:	So this one is titled "Useful for the Entire Family" by BDOU1. That's their tagline. "There's so much great information in these podcasts. I love listening to them. I picked up the book 'Change Your Brain, Change Your Life,' and it has literally changed our whole family's lives. These podcasts are proving to be just as useful. Thank you." Dr. Daniel Amen:	That's what we want. Ultimately, it's about, get this information and then give it away. Because it is in the act of giving, because when you give it away, you actually create your own support group, making it more likely you'll stay on the program forever. So in Inspiration, we're talking about ways to create joy. So it's the one-page miracle; know what you want. Stop dumping dopamine, like high sugar foods, obviously drugs, scary movies, things that dump dopamine and wear out your pleasure centers. You want to drip dopamine. Dr. Daniel Amen:	So holding hands. Having purpose. Tana Amen:	Hugging. Kissing people you love. Doing something nice. Dr. Daniel Amen:	Doing something nice. And then we were talking about living each moment with purpose. We talked about Viktor Frankl and courage in the face of difficulty, love, doing purposeful work. But there's a great TedTalk that I love, "How to Know Your Purpose in Five Minutes." You can watch it. It's Adam Leipzig's TedTalk. It's so simple, but it's so powerful. Five questions. Number one is, who are you? 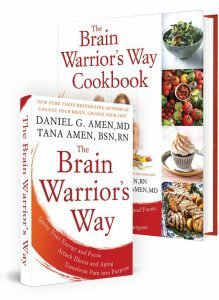 Dr. Daniel Amen:	Tana. I'm Daniel. 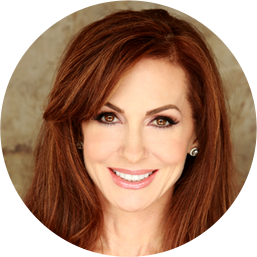 Tana Amen:	So I love to help the people I love, and I love to teach. Yeah. I love doing karate. I mean, there are a lot of things I love. But as far as purposeful things, I love helping people that I love. Dr. Daniel Amen:	So it's not a surprise, given that you're a nurse. Dr. Daniel Amen:	And I'm a doctor. And I love to write, I love to teach. I love to help people heal. The third question. So, who are you? Tana. What do you love to do? I love to help. Tana Amen:	And I also love to speak and write. 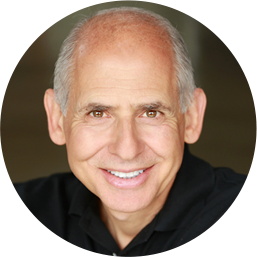 Dr. Daniel Amen:	Speak and write. Question three. Whom do you do it for? Or how does your work connect you to others? Tana Amen:	So first and foremost is my family. I'm clear on that. First and foremost is my family. Next would be our community and other people and whoever else wants help, really. Dr. Daniel Amen:	Okay. So my name is Tana, I love to help and speak and write and teach. I do it for my family and I do it for our community. Fourth question. What do those people want or need from you? Tana Amen:	So that's an interesting. So if I were to think about what they say to me, some of them actually do need something as simple as, "Oh I need advice or coaching with my health." But what I normally hear is that they need a strong role model or inspiration somehow. So I think that what I'm giving them is information, but that's not what I hear back from people. Does that make sense? Dr. Daniel Amen:	So they need you to teach and inspire them. Dr. Daniel Amen:	Because they want the information. But they also want the passion you have. Tana Amen:	Yeah, I think you can get the information almost anywhere. I think you need a delivery system as well. Dr. Daniel Amen:	The fifth question is, how do they change as a result of what you do? Tana Amen:	My opinion is I think they start to believe they can do it, and they begin to do it. Dr. Daniel Amen:	And some people, like Angie, lost over 100 pounds. Tana Amen:	Right, because she believed she could do it for the first time. That's my point. It's not that I did it for her. She finally believed she could do it. Tana Amen:	So empowerment is the word I'm looking for. Dr. Daniel Amen:	So you empower people. Dr. Daniel Amen:	To believe they can change. Tana Amen:	That they are powerful. Yeah. Dr. Daniel Amen:	Awesome. So, mine. My name is Daniel. I love optimizing people's brains and inspiring them to care about it. I love doing it within the context of our team here at Amen Clinics. We do it for our families, those who come to our clinics, read our books, and watch our shows. The people we touch want to suffer less, to feel better, be sharper, and have greater control over their own lives. As a result of what we do, people change by having better brains and better lives. They suffer less, become happier and healthier, and pass it on to others. So notice that two of the five questions are about me; three of them are about other people. There's a Chinese saying that goes, "If you want happiness for an hour, take a nap. If you want happiness for a day, go fishing. If you want happiness for a year, inherit a fortune. If you want happiness for a lifetime, help somebody." Tana Amen:	That's so true. Dr. Daniel Amen:	Happiness is found in helping others. So when someone asks you what you do ... and this just happened to us recently when we went to an event ... When you're at a gathering and someone asks, "What do you do?" Answer them by telling them the answer to question number five. So in my example, when people ask me what I do, I'll often say, "As a result of what we do, people have better brains and better lives. They suffer less, become happier and healthier, and pass it on to others." That's so much better than to say I'm a writer and doctor and Tana's husband. By answering that simple question ... And in your case, it's "I empower people." Dr. Daniel Amen:	With information. Tana Amen:	So they can change their lives. Dr. Daniel Amen:	So they can change their lives. So by answering that simple question, I get to share and you get to share the passion, the purpose of your life, with many of the people, which increases dopamine and keeps your pleasure centers healthy. So those of you that are listening, how would you answer that question? So remember, who are you? What do you love to do? Who do you do it for? What do those people want or need from you? And how do they change as a result of what you do? Quickly to finish Inspiration Week, the 5th strategy to creating lasting joy is you have to start living with the end in mind. When I was in college, one of the most important classes I ever took was a class on death and dying. Tana Amen:	Me too. I had to take one on death and dying also. So interesting. Dr. Daniel Amen:	... for when you live as if you'll live forever, it becomes too easy to postpone the things you know you must do." Tana Amen:	Yeah. I think that's so true. And I know it sounds so morbid, and actually Chloe, our daughter, our teenage daughter, used to get mad at me. Now she understands. She's old enough now to understand. Because we sort of talk that way in our house. We speak in a way that probably sounds morbid to a lot of other people. So I love the question that we often ask when things are not going well and not going right, even things that seem big to a lot of people. It's like, does this have eternal value? You know? And then the next part that follows that in my mind, especially as somebody who's been sick and had to sort of face that early on in life, that idea, none of us are getting out of here alive. The question is, what are you going to do while you're here? Right? None of us are staying forever. So what are you going to do with the time you have here? And it just changes how you see things. Dr. Daniel Amen:	I think so many people are afraid of death or afraid they haven't done what they were put on Earth to do. The last part of creating lasting joy is, share your most purposeful stories. The stories that really make your heart sing, share them with the people you care about. One of the things I love doing with my grandparents was to have them share their most powerful stories. Tana Amen:	Oh yeah. Chloe still loves that. We'll be driving and when my mom and I are together, she wants to hear stories from the past. I'm like, no let's not do this, it's traumatizing to me. But she loves it. Dr. Daniel Amen:	Well you have to supervise some of the stories. Dr. Daniel Amen:	Don't tell them everything. Tana Amen:	I'm teasing. I'm teasing. But yeah. Dr. Daniel Amen:	So there are tiny habits to boost inspiration. When I need to get work down, put down the phone or put it on "do not disturb" and stop the constant pings or drips of dopamine that try to addict you. Read your one-page miracle every day and ask, will my behavior today get me what I want? When I get upset, I'll ask myself ... and you and I do this a lot. Tana Amen:	Does this have eternal value? Dr. Daniel Amen:	Does this have eternal value? And before bed, I'll write down one purposeful thing I did today. You can feel better fast and make it last. Say it with us.